Snake Crossing : As DD and I walked on the Irving Nature Trail near Bouctouche we came to a snake who was crossing the trail. She was very still…didn't move…even DD was able to touch her soft snake skin! 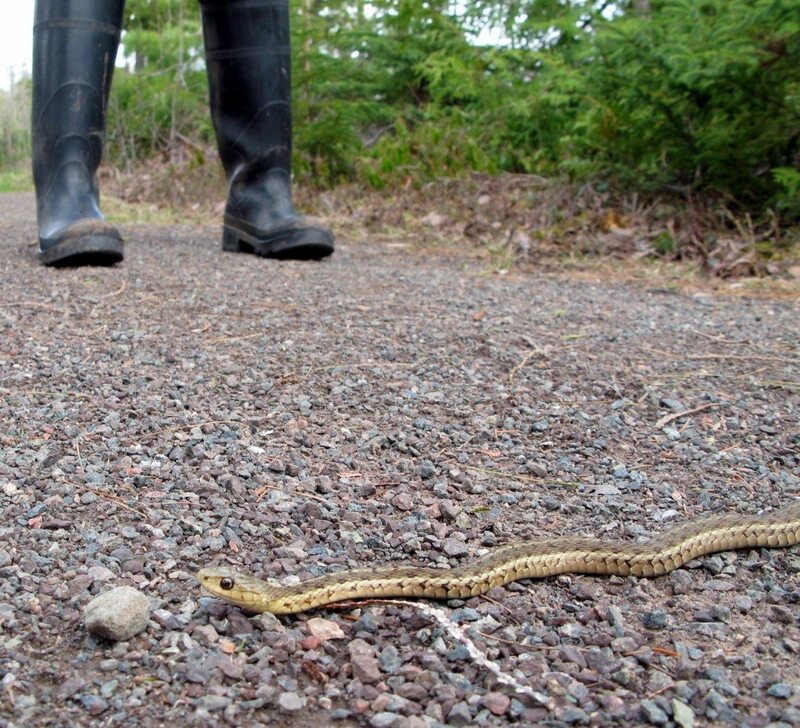 Yay for snakes in New Brunswick!! !